Some dishes require a lot of garlic, i.e Tacos de Pescado al Mojo de Ajo, which takes 2 HEADS of garlic or Chicken with 40 cloves of garlic. That is a whole lot of garlic. Here is the trick to peeling that much garlic. After 30 seconds of vigorous shaking, the garlic is peeled. Now, the only problem with this trick/technique is you will need to rinse the garlic when you are done, especially if there are smaller cloves. 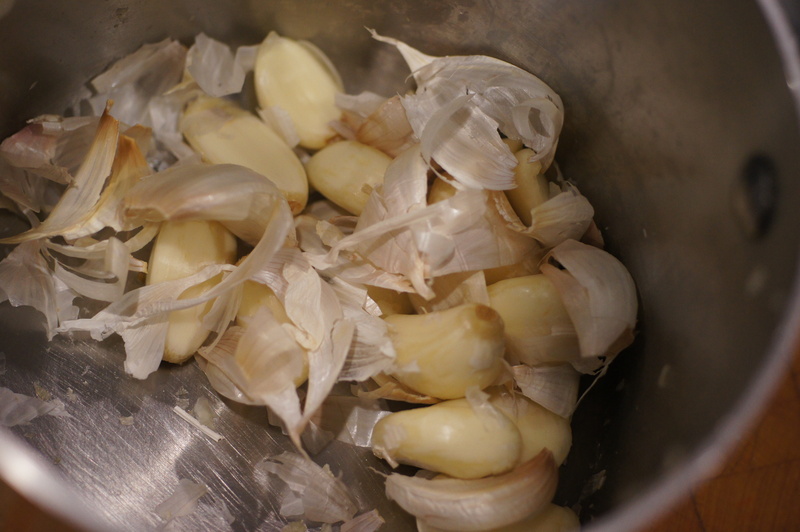 The garlic bruises and releases its oil which results in some of the skins sticking to the garlic. Rinsing the garlic under running water gets rid of the sticking skins. 🙂 This tip/technique really works. Nice…I love tips like these. Neat! I will let my sous-chef (aka husband) know. I could never have the patience to deal with 40 cloves of garlic. 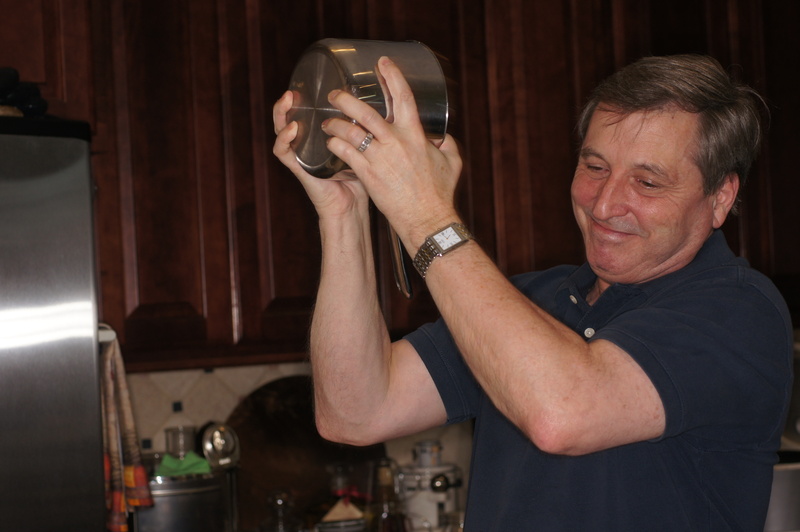 He actually enjoys the repetitive peeling, dicing and slicing.